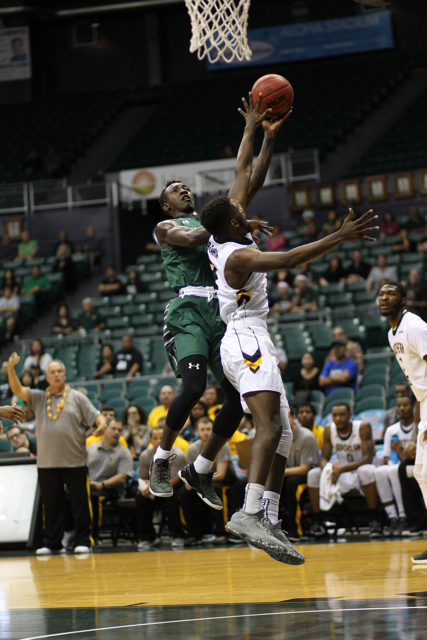 University of Hawai’i men’s basketball coach Eran Ganot has preached all along that “the most of important game of the season is the next one,” and it is especially true now as the Warriors get set to begin defense of their Big West Conference championship at Cal State Fullerton on Thursday. Tipoff is set for 5 p.m. (HST), and the game will be broadcast live online at www.ESPN3.com and ESPN 1420 AM radio. UH and CSF are both 6-7 but each is riding some momentum into Big West play. For the Warriors, it comes from a mini two-game win streak after losing four in a row earlier in December. 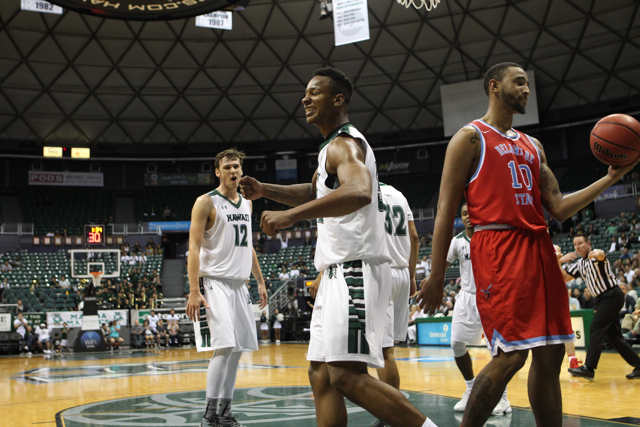 UH claimed seventh place in the competitive Hawaiian Airlines Diamond Head Classic by soundly defeating Southern Mississippi, 60-46, then shot past Delaware State, 77-66, on Dec. 29. Noah Allen, the Warriors’ lone senior, said the two victories have given the team a much-needed boost. For the Titans, the boost comes from winning three of their past four games and the return of sophomore guard Khalil Ahmad, who regained eligibility two games ago and already has produced 33 points. The Titans’ other starting guard, Tre’ Coggins, is averaging 20.4 points per game. Both Ahmad and Coggins were selected by the media to the Big West preseason All-Conference team. 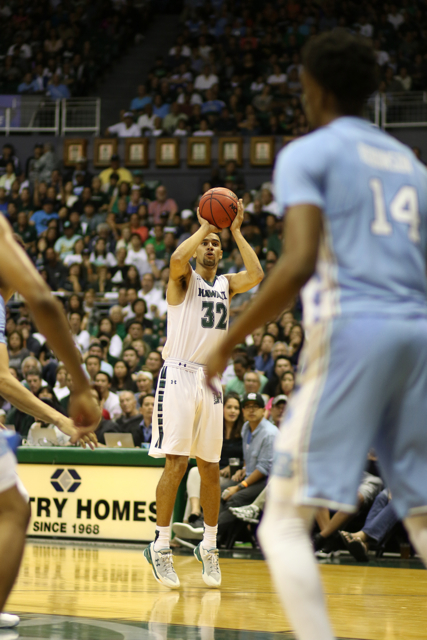 By comparison, Hawai’i is very inexperienced and unproven, but Ganot said the league season is when some players have the opportunity to blossom. reduced role the past three games. Ganot, for his part, agreed. then getting scout(ed). But he’ll bounce back, he’ll respond, because he goes into the gym, he wants to be good, he wants us to be good. “It happens to everybody, both individually and collectively – you have some peaks and valleys, some ups and downs, growing pains. You just gotta continue to have your routine, and your same approach and you have to have the belief. Ganot said another player who could potentially emerge as a key contributor is Larry Lewis, Jr., who came off the bench to score six points and grab a rebound in seven late minutes against Delaware State. “Larry has had good practices,” Ganot said after Saturday’s workout. “You’ve seen it in our program: if you have good practices, you’ll get an opportunity to play, and then when you get into the game, you’ve got to perform. Larry gives us a physicality, he attacks the rim, he’s worked really hard on his perimeter shot. One of the things that has helped him come in and contribute is, his attitude’s been pretty good. Freshman guard Drew Buggs will sit out the remainder of this season as a redshirt player, Ganot announced this week. Buggs underwent knee surgery in April, and went through rehabilitation exercises for most of the preseason. He was cleared to resume practicing in mid-December, and will continue to be a part of the scout team in practices for the remainder of this season. Fullerton is a strong rebounding team this year, besides having the dynamic guards. They had 71 rebounds vs Bethesda. 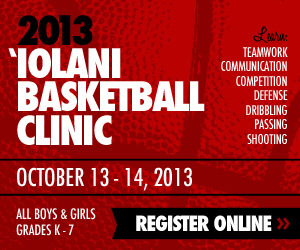 Hugh Hogland will play for UCSB next year, He has a younger brother, Cole, also playing for Iolani, per today’s paper. These words from Ganot in the story says everything right there. I don’t think it is just coincidence that this team started struggling when Allen started slumping. I hope he is out of the dog house now and back in the starting 5 where he belongs.